Shunted from one foster family to the next after a terrible accident that left their father dead and their mother unable to cope, Khia Ashworth and her little brother, Devon, have already experienced enough drama to last them several lifetimes, but when strange dreams and odd happenings warn of danger and inexplicable circumstances beyond their control, they find themselves on the run. Given little choice in the matter, by a world that seems to have gone crazy, they place their faith (and lives) in the hands of some of the oddest people they could ever have expected to meet: people who seem to defy logic; people willing to risk everything in order to keep them one step ahead of the strange forces that seek to destroy them, and bring them safely to the final fragment of their shattered family. 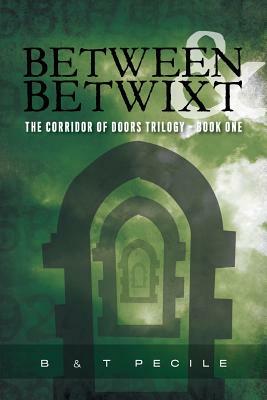 Somewhere between history and legend, good and evil, the real world and the endless worlds of possibility... this is where authors Bruno and Tina Pecile take their readers with this innovative and compelling story: somewhere Between & Betwixt.